Favorites List, System, Department/Site Quick Keys and temporary avoid • Enhanced dynamic memory with narrowband reception and location-based scanning • Preemptive trunking priority and multi-site system support • S.A.M.E weather alert with USA/Canada radio database and fire tone-out alert • Close Call RF capture with 4GB of memory. Please refer User Manual before use. 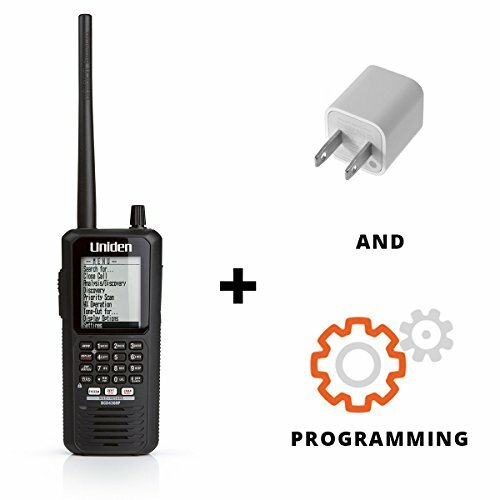 Features: Uniden's exclusive Close Call® RF Capture feature, GPS Connectivity, Extra-Large Display, Radio System Analysis and Discover Modes, Radio Reference Database. Scanner Includes: BCD436HP, USB data transfer/charging cable, SMA to BNC adapter, rubber duck antenna, wrist strap, and (3) rechargeable Ni-Cad batteries.